Professional Wellington Stylist Tina Fox shares her tips & experience with Hair Ups (Updos). anxiety attacks and completely stress out while doing hair ups". when contemplating any special occasion is clothes, make-up and hair. Women of literally all cultures throughout the world have been wearing their hair in elegant hairup styles at special events for thousands of years. From queens to young girls off to high school ball formals. But the occasion that is most important for most women is without doubt their wedding day. Every bride wants to look perfect and having a elegant hair up style to go with her make-up and wedding dress is essential. However, finding hair stylists who are confident in doing hair ups is harder than you might think. If you ask hairdressers what they dread and fear doing the most, many would say it's hair ups. This is because hair up work requires strong artistic ability and a fine eye for detail, which isn't a talent easily learnt. hair ups, especially bridal hair up styles. clients. 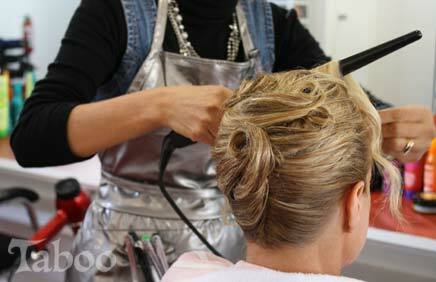 Hair up styling is difinitely an area that separates hairdressers from the true hair stylists. 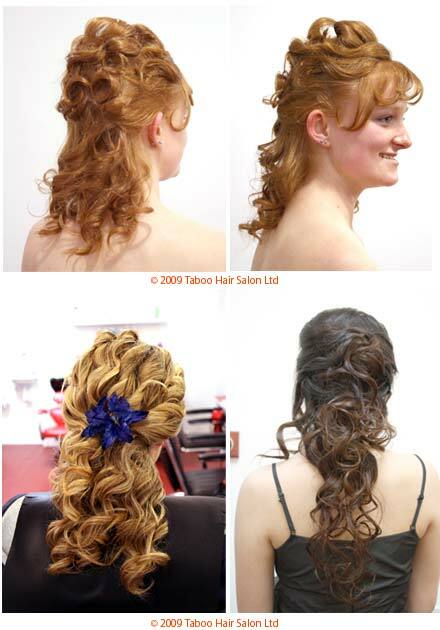 Hair up styles can be extremely complexed and involved. Selecting a hair up stylist with creative flair and extensive experience is a must, if you're after a professional finish. 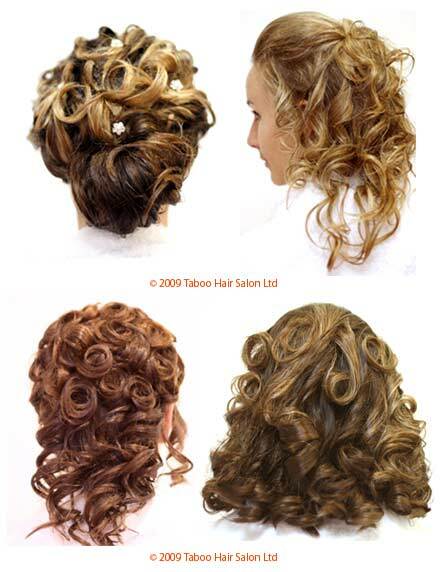 Most salons have a designated person who specializes in hair up styling. When meeting with the stylist and selecting the hair up style you like. your hair up design and suffer unnecessary delays on your wedding day. You're got enough things to worry about. Please don't hesitate to contact me if you need any help with hair ups. I'm available for free consultations and would be happy to discuss your needs. 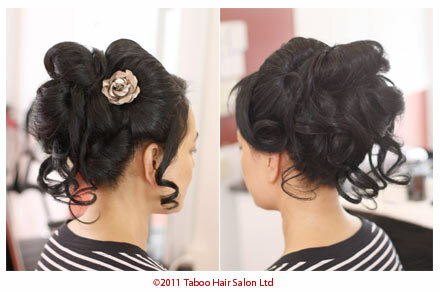 at Taboo Hair Salon, Karori, Wellington (04) 476 7077. More photo examples are posted regularly on Tina Fox's portfolio webpage. 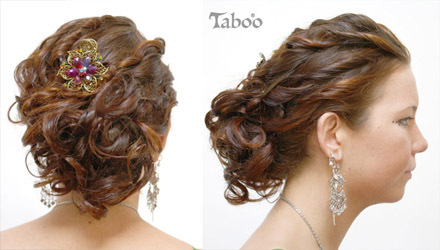 Taboo® is a registered trademark of Taboo Hair Salon Ltd - Karori Wellington. © Copyright 2009-19, All Rights Reserved.